This entry was posted in CRM Intergations and tagged Tall Em CRM on January 13, 2014 by Mike Nash. Wasting time entering data into freight systems – copying data manually from one system to another. All the time your prospect is calling around the competition seeing what they can do for him. In a matter of moments, using Tall Emu CRM – you can create a quote for your products, get a freight cost and ETA for it – convert it to a sale and take the money by credit card. All that can be transferred over to your accounting system – MYOB/Quickbooks/Infusion – before you can blink (especially if you blink slowly). In addition, Tall Emu CRM’s new Shipment function and improved stock control helps you to fulfil the order in the warehouse with fewer mistakes. 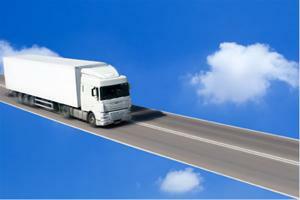 Is fast freight quotes really that big a deal ? One of our clients sells heavy stuff – and the freight component can be a deal-breaker. It’s important to make sure they have the sharpest price on their freight, and get to it quickly. One of their leads was astonished that our client was able to instantly provide a competitive quote, confirm stock availability and delivery time and cost on the first phone call – they were still waiting for callbacks from the competition. Our client received the best reward of all – they got the order instantly – along with the credit card to pay for it because the prospect felt they knew what they were doing. 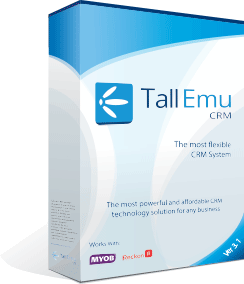 If you like making sales while your competitors are scrambling to get freight quotes worked out – Tall Emu CRM v3 is able to help you. The next update will be released within the coming weeks and this feature is available at no additional cost.